What’s hot: ViPR packs and sandbags are very popular this year, according to Jacob Guajardo, one of Perform Better’s sales reps. 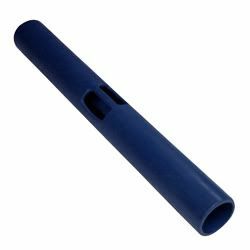 These versatile tools make it easy for trainers to blend dynamic lifting, twisting, dragging, flipping, throwing and rolling motions to enhance their clients’ strength, conditioning and movement training. 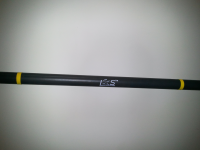 Tomorrow we’ll check out Perform Better’s Move Strong Quad Model FTS. You’ve heard of the overload principle, right? Well, it doesn’t get much easier than slipping on the Hyper Vest Pro by Hyper Wear. You zip in and out of the vest, and there is lacing up the sides, allowing you to adjust to the exact fit you need. The weight plates, which weigh 1/7 – 1/8 lb each, slide into pockets on the chest and back panels. 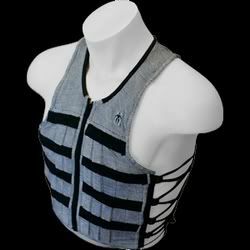 The vest stretches horizontally across the body for a close fit, but it does not restrict motion in any direction. 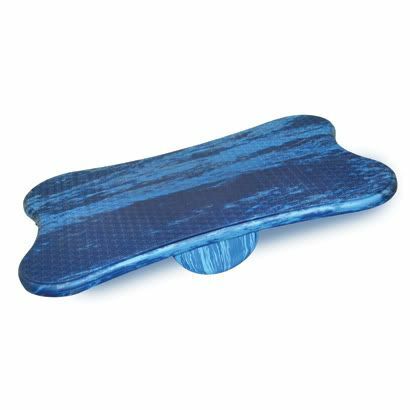 The arm holes are cut generously, so there is no chafing, and the open sides allow for maximum comfort and range of motion. Most of the vest sizes come pre-loaded at 10 pounds, and you can add or subtract additional weight. Vest size determines the absolute weight capacity, but the range is between 8 and 60 lbs, based on the number of available pockets. Note: It is recommended that users add no more than 4 – 6% of their body weight for agility exercises, 6 – 8% for speed training, and 2 – 10% for endurance training, depending on the activity. Tomorrow we’ll check out some Innovative Xercise Solutions! The Halo Trainer is a set of ergonomically designed handlebars that can be used either freestanding or with popular training equipment, such as the stability ball, the BOSU or TRX. 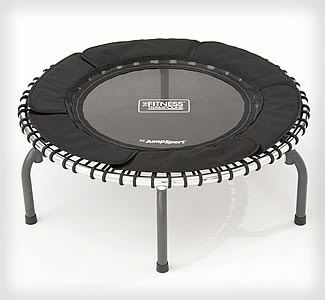 To date, most of the attention for the Halo Trainer has centered on its pairing with the stability ball. Placed in a “handles down” position under the ball, it essentially parks the ball, providing a higher degree of safety and peace of mind for the rehab client, aging populations or individuals new to exercise. 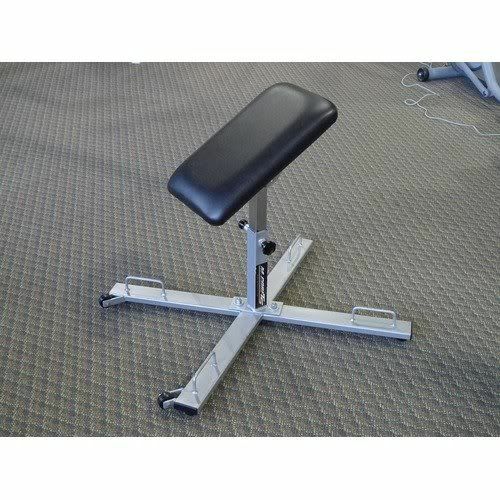 Placed in a “handles up” position on top of the ball, the Halo Trainer can assist the user in transitioning from seated to standing positions. In addition to rehabilitation applications and exercise modifications, the Halo Trainer can help you kick your workouts up a notch. Imagine doing pushups or planks in the “handles up” position on the ball while keeping your wrists in a neutral position. 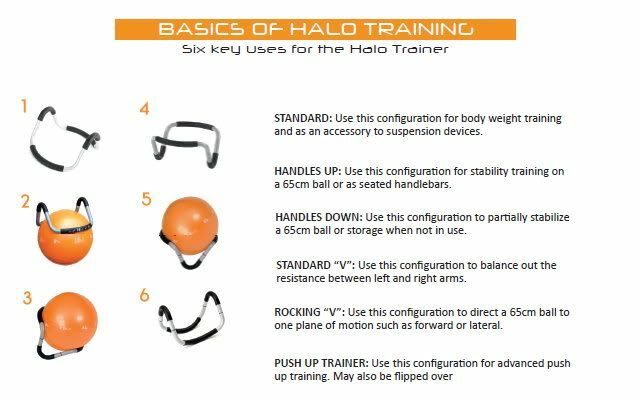 Now imagine turning the Halo Trainer into a “V” position on the floor and using with your feet strapped into a suspension trainer to do suspended pikes. The possibilities are endless! Hyper Wear vests are tomorrow’s hot topic!